WINK have exceptional promotional models and brand ambassadors who can increase sales, foot traffic and awareness for your brand. 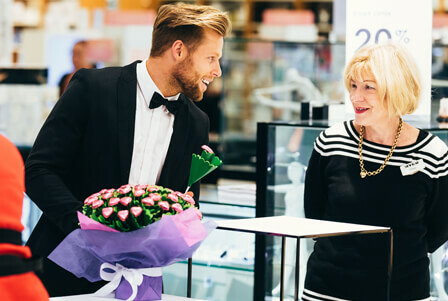 Our experienced promotional models can be there on call whether you need them to promote you brand outside the store, gain emails on an iPad for a database, hand out flyers and give away samples and treats to customers whenever you need. Our promotional models are also able to dress up in character and engage with an audience to meet any needs for your branding. WINK works regularly with brands such as Sephora, MAC, Sportsgirl, LG, Honda and Nike to provide male models and brand ambassadors to approach customers and inform them of their latest offer or actively hand out samples and information to gain more traction. Our female models have worked across various expos including sport and fitness expos, and car and trade shows. These models are required to learn about the brand in which they are promoting and are experienced in making sure they are across all the information needed to successfully carry out their roles as ambassadors for the brand. In addition to this, we represent promotional models who hold their RSA and are able to work as bar staff and bar hosts for your event.